AlipayHK and GCash announced the launch of a cross-border remittance service through their e-wallet platforms, powered by cutting-edge blockchain technology developed by Alipay, the online payment platform operated by Ant Financial Services Group (“Ant Financial”, “Ant”). This is the first blockchain-based cross-border digital wallet remittance service globally, offering a fast, secure, convenient, transparent and low-cost way to transfer money directly between individuals in Hong Kong and the Philippines. As long as you have a verified AlipayHK account you can now send money to relatives in the Philippines who have their own verified GCash account. said Jennifer Tan, CEO of Alipay Payment Services (HK) Limited (APSHK). What used to be a long process of physically going to a remittance booth, queuing in line for hours and filling out forms, is now easily and securely done over the mobile phone in just a few seconds. Together with GCash, we aim to provide Filipino expatriates a more convenient, seamless experience to transfer money back home to their families in the Philippines. We will also continue to provide tailor-made solutions for our customers as we aim to enhance their daily lives through our secure and fuss-free approach. GCash is building a cashless ecosystem to make financial services affordable and accessible to every Filipino as we aim to provide the Philippines’ underserved market with convenient options for load top-up, remittance, and cashless payments for goods and services, among others. 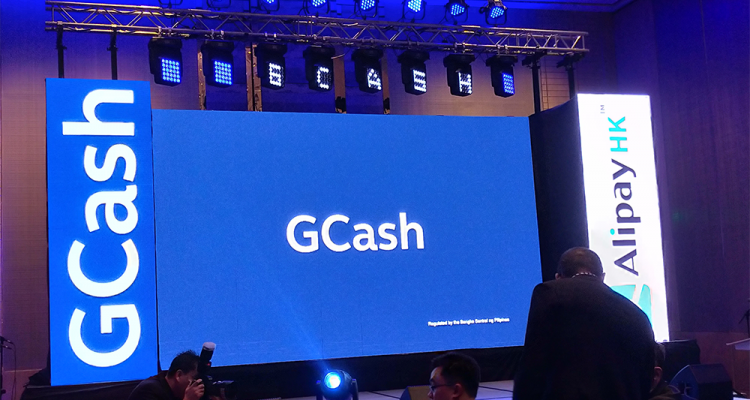 This time, in partnership with AlipayHK and Ant Financial, GCash is able to achieve another breakthrough to make sending money to the Philippines easier, more convenient, and more secure for Filipinos abroad. We believe that for overseas Filipinos, sending money home to their family’s GCash mobile wallet will soon be the norm. Remittances are a lifeblood of many communities in the Philippines, the third largest remittance market with US$33 billion of inflows in 2017. We are proud to collaborate with Ant Financial, and act as their banking partner for this new service to make remittances easier, cheaper and more secure. This evidences our joint commitment to deliver financial services to the unbanked and underbanked and exemplifies our “Here for Good” brand promise. We are thrilled to witness AlipayHK and GCash jointly launch the groundbreaking cross-wallet remittance function. Ant Financial is dedicated to exploring fintech breakthroughs and applying them to benefit more people in more places. This is a new starting point and significant step forward in accelerating Alipay’s pace to promote tech for good, and financial inclusion globally. Through leveraging our technological capabilities, we are committed to bringing financial services to the large underserved populations in Asia and beyond together with our ecosystem partners who share our vision and mission. Sending limits from Alipay to GCash is up to 5,000 hkd daily, while the GCash limits in the Philippines is still a total of 100,000 php per month.